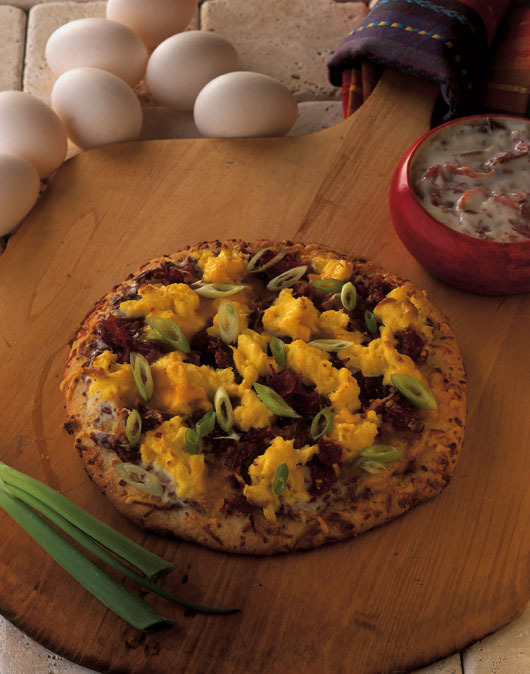 Creamed Chipped Beef isn’t just for toast….Serve this unique breakfast pizza with our famous Knauss Creamed Chipped Beef at any meal of the day. Preheat oven to 400ºF. 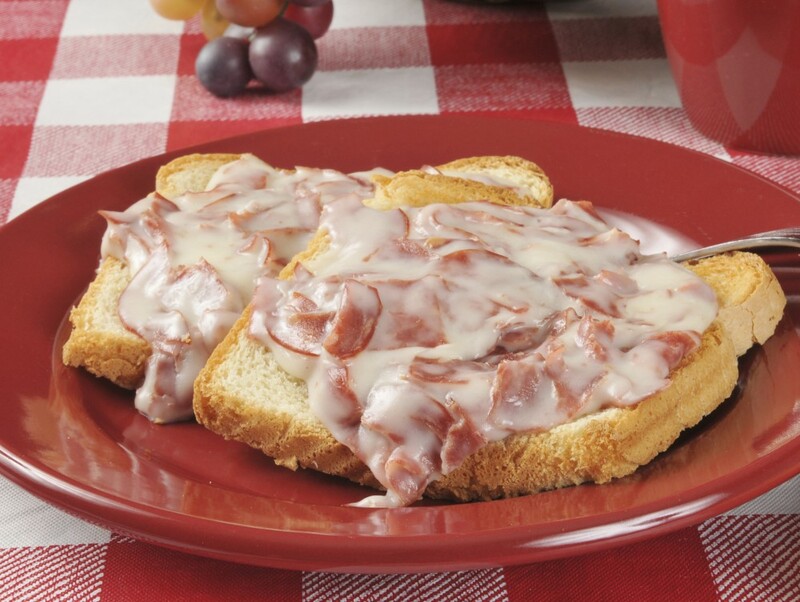 Spread the Knauss Creamed Chipped Beef evenly over the Boboli bread and top with the scrambled eggs. Sprinkle the cheese and bacon over the eggs. Bake for 10 to 12 minutes until golden brown and sprinkle with the scallions. Cut into 4 to 6 wedges and serve. 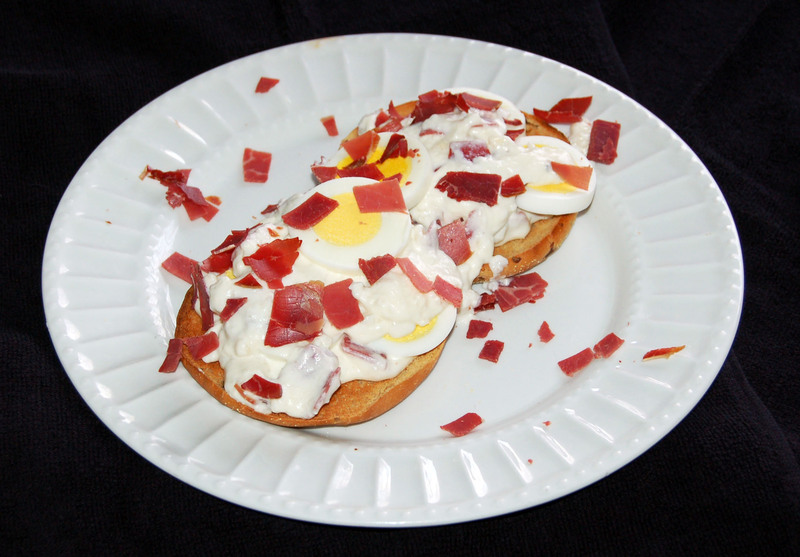 A twist on the Pennsylvania Dutch favorite hard-boiled egg dish—this version combines the richness of cream cheese, eggs and our flavorful Knauss Dried Beef. A great way to start your morning! In a sauce pan, melt butter or margarine over medium heat. Stir in flour and milk. Stir until sauce is thick and smooth. Reduce heat to low. Add Knauss Beef, hard boiled eggs, and cream cheese. Heat for an additional 2 minutes. Server over toast, waffles, English muffins or bagels. A classic French egg dish with a different twist. 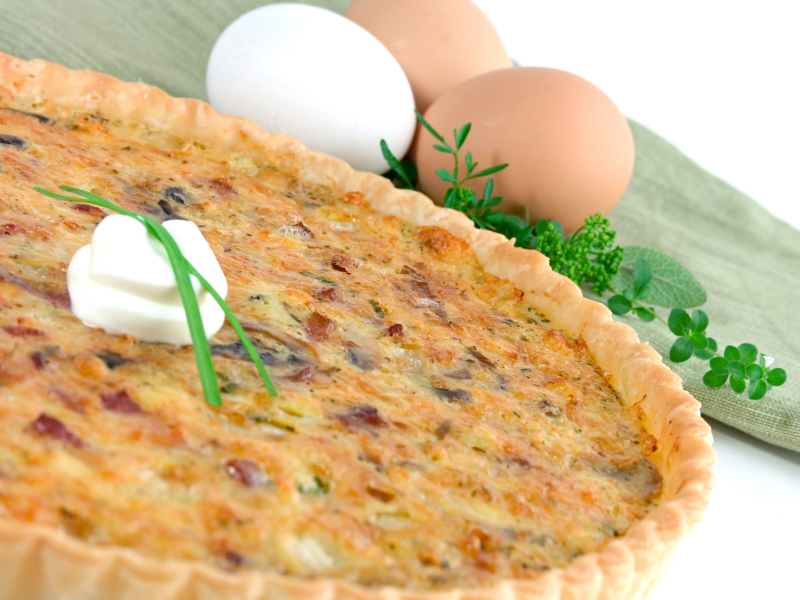 Add our Knauss Dried Beef and surprise your guests with a delicious and unique breakfast pie. Preheat oven to 375ºF. Cut dried beef into small pieces and place in bottom of chilled pie crust. Next, place grated cheese on top of Dried Beef. Beat eggs, milk and dash of cayenne/chili powder, nutmeg, mustard power and pepper together. Pour in pie crust. Sprinkle top with parsley, dots of butter, paprika and small pieces of Dried Beef. Bake for 40 minutes and let cool 15-20 minutes before serving. Shred dried beef and brown lightly with butter in skillet. Mix in flour, and then stir in milk. Cook until thickened over low/medium heat. Option #1: Add 1 Tbsp. Worcestershire sauce for a hearty flavor. Option #2: Add 1/2 cup sour cream for a rich flavor. Option #3: Add 1/4 tsp. chili pepper and 1/4 tsp. cumin for a Southwestern flavor. Serve over toast, biscuits, baked potatoes, home fries, noodles, pizza, or rice. Going to cook this tomorrow. Will let you know how it turned out! Have you changed the recipe on the traditional creamed dried beef ? I always follow the recipe on the back of the 3oz package and it seems different…as if it has too much sauce and not enough beef …….just curious….have enjoyed your products for 40 years!!! Have you come up with a gluten free recipe for the traditional dried beef, using something like corn starch instead of flour? We love having dried beef for dinner, but recently changed to GF and tried once with corn starch and it was watery. Thank you for reaching out to us. You can use a combination of corn starch and water instead of flour…..but if that didn’t work well for you, you can always try mashed potatoes or instant potatoes to add to the thickness. If too rich/thick, it can be thinned with milk. I’ve had good results with rice flour.